Call me a stickler, but I think games should play well before looking pretty. I think they should be functional, polished and most of all, not frustrating. This seems to elude most developers who insist on using on-screen joysticks for their products, as more often than not they're a buggy, non-responsive mess. From having poorly-defined boundaries to not reacting to multi-touch well, the system seems to be a bit flawed. However, Halfbrick studios (the developers of the wildly-successful Fruit Ninja) have finally managed to code some joysticks that work straight out of the box, no tweaking required. Their newest game, Age of Zombies, relies quite heavily on them, so I'm both glad and relieved that they've decided to make sure people can actually play their game before they've released it to the wild. 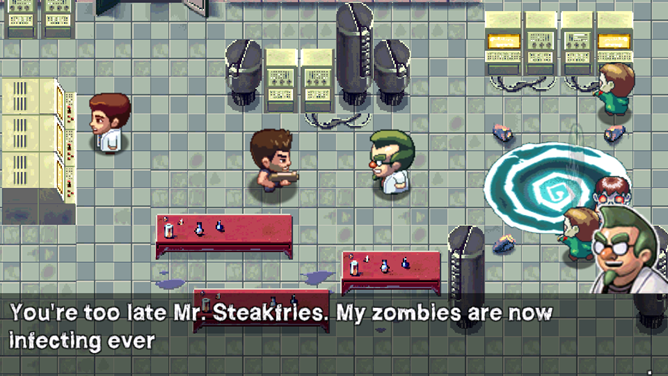 In the game, you play a stereotypical action star named "Barry Steakfries" as he shoots zombies in the face. 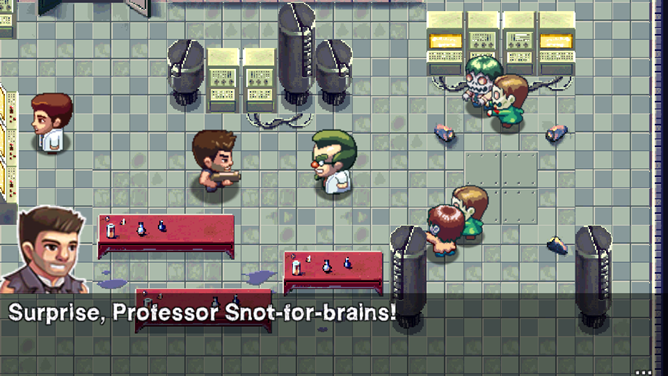 Barry's travelling through time to thwart the efforts of a mad scientist he killed in the opening cutscene, leaving only a horde of zombies in different time periods to deal with. 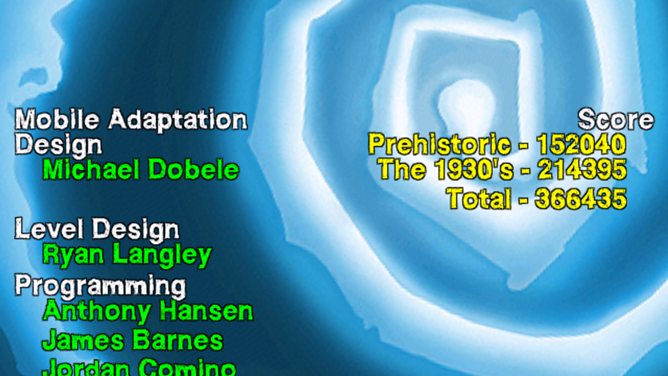 As Barry, you play through a number of stages, each taking place in a different time period. You start off in prehistoric time, move on to 1930s Chicago, Egypt, Feudal Japan and - ultimately - the future, massacring the undead along the way. 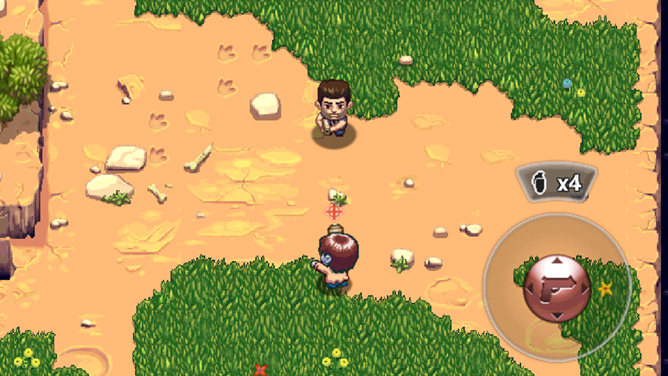 One virtual joystick controls Barry's movement, while another controls the direction he shoots his gun. This scheme is similar to a number of other titles, like GLU Mobile's Gun Bros. 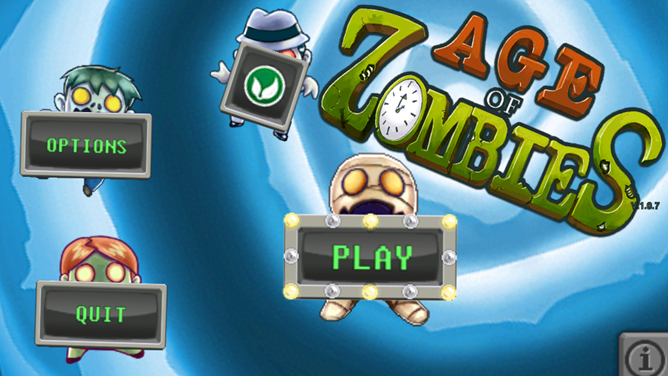 Your weaponry starts off with a single-shot pistol, which can take out single zombies efficiently enough. However, when more portals open and hordes of undead emerge, Barry will need to rely on weapon pickups, which have limited ammo. This keeps the game from being stale, as you really need to watch your ammo conservation. 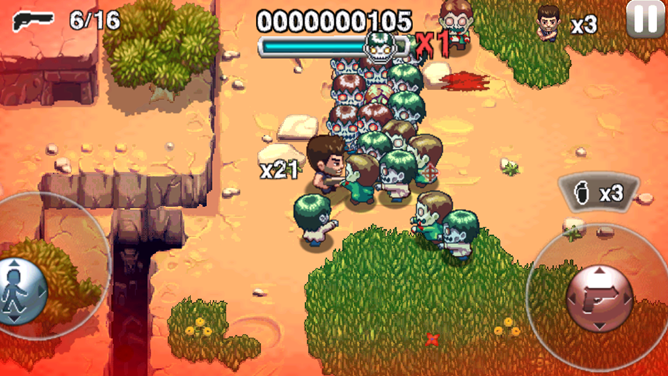 Secondary weapons, like grenades, mines, and auto-turrets allow for some powerful attacks, clearing a way through the mobs of zombies. Learning to maneuver around the massive crowds becomes almost an art, as you can't just face them head on. Techniques like circle-strafing and figure-eight corral movements become second nature. This is where the control scheme comes in. 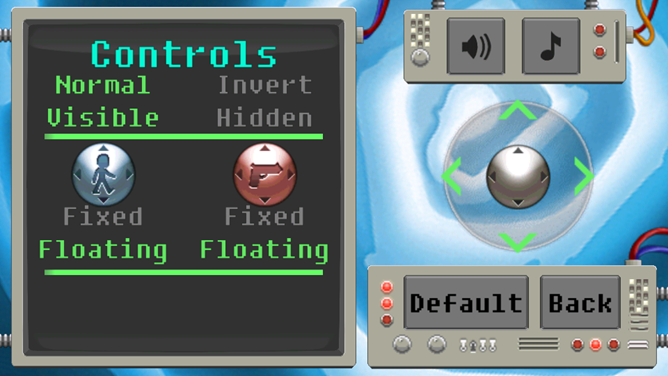 While having virtual joysticks isn't exactly new, Halfbrick's thrown some tweaks that really make these controls shine. 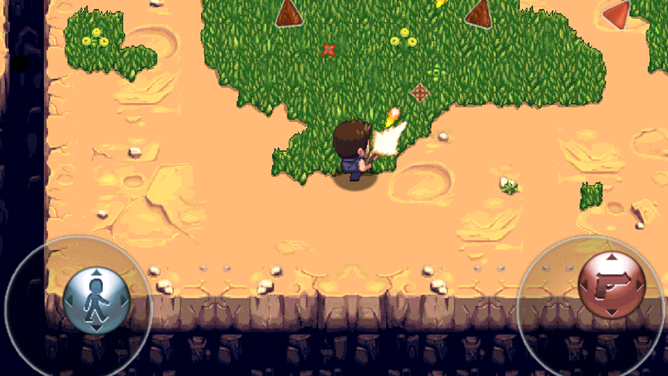 I don't think Age of Zombies is the first game to implement joysticks that actually move with your finger when you reach the boundary of their movement, but it's implemented well enough here to earn a metaphorical gold star. This eliminates a problem I had in other games where I would "lose" the joystick due to moving too far away. 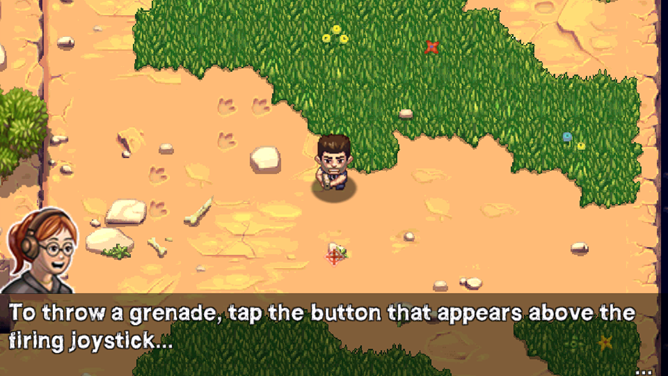 Of course, these new floating joysticks have limits to how far they'll travel, but they can be easily reset by taking your finger off the screen for a second. I've got to give props to Halfbrick for not taking themselves too seriously with the story; Steakfries really has a Kurt Russell in "Big Trouble in Little China" vibe to him, spouting one-liners that aren't exactly the most intelligent things in the world. It's almost like the dialog in the game has been run through Google Translator and back once or twice, but it fits well. Playing Age of Zombies is like playing a B-Movie where all the things that need to be bad (for entertainment purposes) are bad; everything else just shines. Small things like the voice that announces pickups ("Shotgun, oh yeah!") changing from stage to stage really add more polish and character. In the caveman level, the voice is low and grunting; in the 30s, it changes to a mobster sneer. 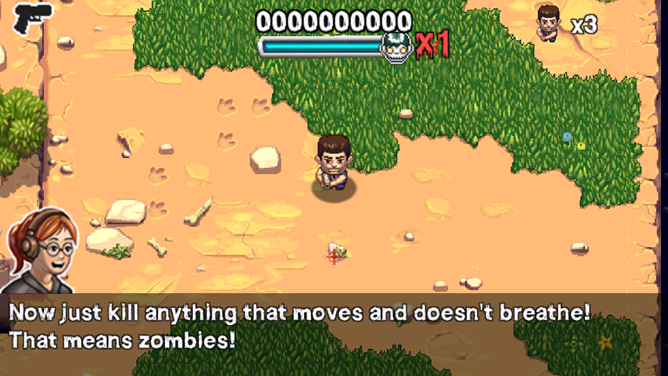 Once you're finished with story mode, there's an "survival" mode that allows for endless zombie shooting to your heart's content. What I could really recommend is some sort of cumulative upgrade system to keep things fresh: upgradable weapons (like fire rate improvements or damage bonuses) could add some depth that this game sorely needs. That's not to say that it's a bad game; no, I don't want to give you that impression. 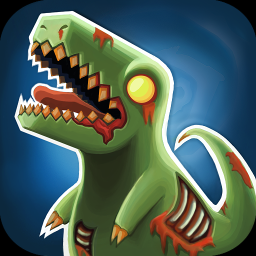 Age of Zombies is one of the most fun games I've played on my Android, and I'd heartily recommend it. At $2.99AU (about $3.15 CDN) it's a relatively small investment for some big-time fun that actually controls well. And that, I can get behind.